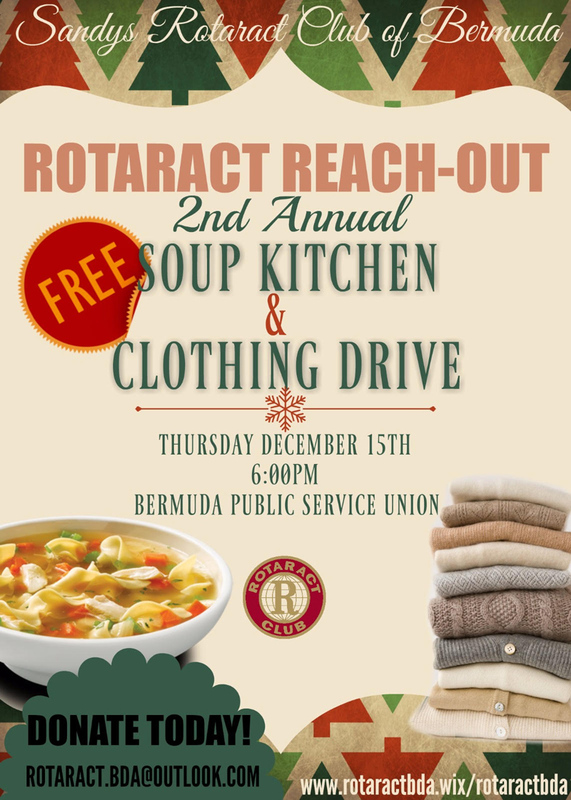 The Sandys Rotaract Club of Bermuda is preparing for their second annual Rotaract Reach-Out event, a Soup Kitchen and Clothing Drive set for December 15. Last year’s event was able to feed and clothe approximately 40 individuals in need, with the club aiming to increase that number this year. A spokesperson said, “Our club worked together to ensure that we reached as many people as possible. It was a great honor to give back to our community. Looking back, we know that we couldn’t have done it without our many sponsors, who donated the many items needed to make an event like this possible, along with the many volunteers. We are grateful that many businesses support this initiative. “It is our goal to grow as a club and expand our capacity to give back to our community. “What we are asking from you, the media sources of Bermuda, if it would be somehow possible if you could advertise and share our upcoming Soup Kitchen and Clothing Drive on your various sights. Two of our executives would be willing to do an interview if you want to share our event that way. “The Sandys Rotaract Club of Bermuda, under the sponsorship of Sandys Rotary; a growing network of dedicated young individuals who are looking to work together to serve others and advance our community. This club is for individuals between the ages of 18 and 30 who are looking for a challenge and a way to meet and connect with new people.